I hope you all had a super Bank Holiday weekend. It was amazing to actually have some good weather for it! This week I just want to remind everyone that YOU ARE UNIQUE! Whilst I truly believe in trying to eat as balanced a diet as possible that includes fat, protein, carbohydrates and fibre, it is also equally important to listen to your own body. Obviously, some people have medical conditions which restricts their diet. However, far too many people are just following fad diets they have seen highlighted in newspapers and social media that exclude whole food groups for no scientific reason. Usually these diets are unsustainable and can have a detrimental effect on health, as they are often so extreme. By following a balanced diet as an outline, you can make small adjustments to allow for your own tastes and the effect the foods have on your body. I know some people feel dairy effects their sinuses whilst others feel bloated if they have too much high fibre grains. Some people can drink coffee before bedtime with no effect, whilst others are up all night, unable to sleep! 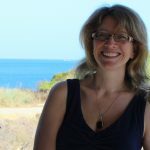 Yes, human bodies all follow the same general digestive mechanism, but it does work slightly differently for each individual – that’s why you are UNIQUE. These digestive differences between people could well be due to our different gut microbes. This is a whole new area of research which scientists are trying to rapidly map out as gut microbes appear to affect all aspects of our general wellbeing. If you have tried a food several times and each time it has had a detrimental effect on your general wellbeing, then try an alternative food. The main aim is to develop an overall balanced diet which isn’t reliant on just one or two food groups. Below is this week’s meal plan for our family. 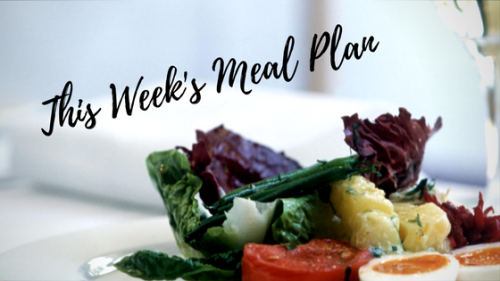 I hope it provides inspiration for you to plan a week of meals that suits your family and their individual tastes. Please comment below or on our Facebook page and let me know which foods cause you problems.